In advance of the 2019 Detroit auto show, Ford formally held an unveiling of their all-new 2020 Ford Explorer at the Ford Field in Detroit. The new Explorer is completely redesigned with consumer models keeping family as its primary focus for design while safety and speed remain priorities for the Explorer-based Police Interceptor Utility model. “Explorer drivers told us what they want,” said Hau Thai-Tang, Ford’s head of product development. “They want more technology, not just for the driver but for the whole family.” Ford spent eight years listening to Explorer customers, and the resulting Explorer is chock-full of upgrades, improvements, increased tech, and even a sleeker appearance. Although pricing details will not be announced until early spring, you can set your calendars and save the date as you look forward to the 2020 Explorer’s June 2019 release date at a Ford dealership near you. 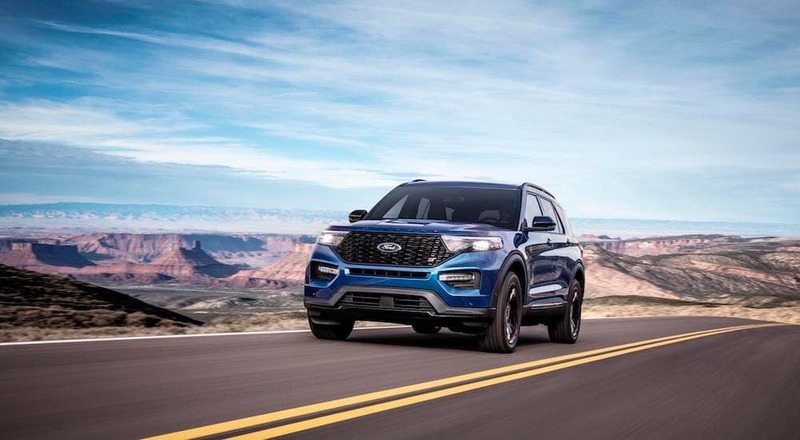 And in the months to come, be sure to keep an eye on listings at Vogler Ford, the premier Ford dealership near me in Carbondale Indiana, to schedule your test drive of the 2020 Ford Explorer. With over 7.7 million units sold since the vehicle’s launch, the Explorer is easily one of Ford’s most popular vehicles placing it 3rd in ranking based on sales figures alone.The Explorer may have taken a slight dive in 2018 with yearly sales declining by 3.5 percent to 261,571 units, but mind you, over two hundred thousand units is not small figure when comparing manufacturer statistics industry-wide. Given the vehicle’s long history of reliability and high-performance standards, the Explorer hardly seems to be in any trouble on the sales front, but even so, Ford has been quick to remedy the sales “slump” no matter how slight it appears. To coincide with their redesigned 2020 Explorer, Ford Motor Company announced last month that they are investing $1 billion in the Chicago Assembly and Stamping plant, Ford’s longest continually operating vehicle assembly plant. This strategic investment plan will also see the addition of 500 full-time jobs to increase capacity and better meet the demand for the 2020 Ford Explorer. “More jobs is always a good thing for everybody,” said Ford spokeswoman Kelli Felker. “We’ve actually been here in Chicago for over 100 years. We’re very excited to keep up our commitment.” In addition to civilian sold Explorer models, Ford must also meet the supply demands of the nation’s police force. Ford supplies 65 percent of U.S. police vehicles with their Explorer based Police Interceptor Utility model, a model that also comes with a separate redesign of the Explorer’s body. In order to meet the safety concerns of the police force, Ford designers created a new protective frame for the Police Interceptor Utility by adding 160 pounds of extra steel. So essentially, the plant needs to reach the capacity to meet the demands of two versions of the 2020 Explorer. The Lincoln Navigator will also be built alongside the Explorer at Ford’s Chicago Assembly Plant..
Ford divulged in broad strokes some of the improvements and additions that the new plant investment will improve. On the docket were first and foremost updating and improving manufacturing technology and workforce training with the intent to speed up the delivery time while not just maintaining but improving the overall quality of the popular SUVs that will go on sale at the local Ford dealership near you in coming months. As far as project-specific plans, a new body and paint shop are to be developed at Chicago Assembly along with some major modifications to the final assembly area. At the Chicago Stamping Plant, Ford will be adding new lines, installing 3-D printing tools to help workers produce vehicles, and upgrading technology to include features like camera operated inspection robots to improve and approve electrical connections during the manufacturing process. Aside from vehicle production line improvements, Ford Motor Company is also interested in improving the quality of the working environment for their employees. An additional $40 million is being set aside by Ford for improvements to the Plant structure such as providing LED lighting and new break areas as well as updating the cafeteria, and parking lot security. Renovations begin this month and are expected to be completed before the summer months begin. The 2020 Explorer does indeed receive a complete redesign, but its powertrain seems to be nostalgic for its past. The vehicle is equipped with rear-wheel-drive once again, an option for all-wheel drive is available, allowing designers to better shape the aesthetic appearance of the Explorer; the result is a sportier look with more rounded edges and a sleeker curve to the body while maintaining styling signatures like the body-colored C-Pillar. It is still primarily a mid-size Sport Utility Vehicle in shape and size, but the new appearance suggests that maybe the 2020 version is the mid-size SUV’s cooler, older brother. A cooler, older brother who is both stronger and faster as well. The base model, XLT, and Limited models will come equipped with a standard 300-horsepower 2.3-liter turbocharged four-cylinder engine, while the top-tier trim Platinum models pack more of a punch with a 3.0-liter twin-turbocharged V-6 engine that churns out an SUV impressive 365 horsepower. Paired with a ten-speed automatic transmission, the new and improved 2020 model can tow up to 5,600 pounds; that is an increase of 600 pounds form the 2019 Explorer. Ford is also offering Limited Hybrid and sportier ST models with a selection of their own individualized powertrain options not yet available. 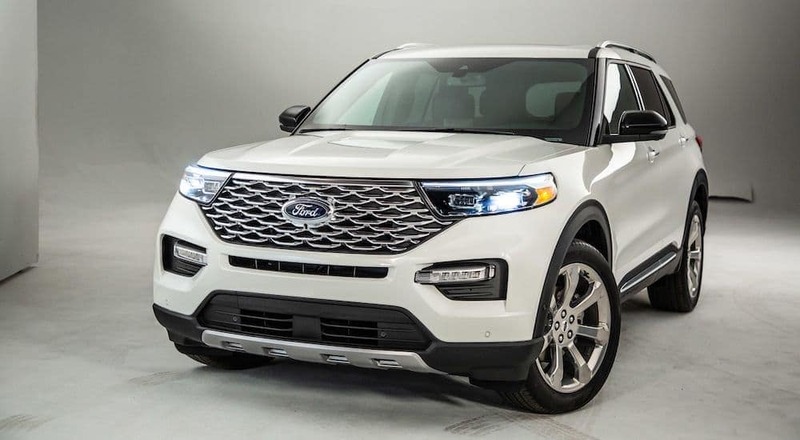 However, Ford has offered projection figures for both models of the Explorer; they are claiming so far that the ST will reach a top track speed of 143 miles per hour, and that the rear-wheel Explorer Hybrid is expected to get an EPA-estimated range of more than 500 miles between fill-ups. As mentioned previously, Ford designed the 2020 Explorer with families in mind. There are three rows of seats with the third ideally suited for smaller children; both of the front rows provide room enough to seat adults comfortably. Come Christmas tree hunting time, you’ll be the envy of your block as designers have placed a standing area inside the rear doors to facilitate and ease the loading of items onto the roof. Cargo room impressively extends to 87.8 cubic feet after folding down the second and third-row seats providing a flat surface level (unavailable in previous models) capable of hauling loads equal in length to four-by-eight-foot sheets of plywood. Adding a touch of cleanliness to the whole hauling/not hauling process, the cargo flooring reverses with carpet on one side and vinyl on the other. And finally, little touches like square cup-holders for juice boxes and child-seat anchors in every seat show just how much Ford designers brought family duty as a core customer concern into the concepts behind the redesign of this new Explorer. On the tech front, the Explorer includes a standard eight-inch and optional 10.1-inch touch screen infotainment center run by the latest version of Ford’s SYNC 3. The intuitive system allows navigation maps to fill the entire screen with a crisp image resolution that is equally responsive; The audio system can be upgraded to include a 980-watt, 14-speaker Bang & Olufsen premium audio unit, and of course, the usual gang of noisemakers and utility apps is all included. The Explorer is compatible with SiriusXM satellite radio, Apple CarPlay, Android Auto, and Waze navigation. The 4G LTE Wi-Fi capabilities also accommodate an impressive 10 mobile devices as a standard feature. And although the wireless charging pad is optional, it is definitely a creature comfort that you could do without as there are up to four USB ports (including two USB-C outlets), as well as three 12-volt outlets and a 110-volt outlet. The Explorer is outfitted with the Ford Co-Pilot360 suite which comes with all the standard driver-assist features including automatic emergency braking, forward-collision warning, blind-spot warning, cross-traffic alert, lane-keeping assist, rearview camera with built-in lens cleaner, and automatic headlamps. Two other features, Evasive Steering Assist, which provides steering to help avoid a collision, and Post-Impact Braking, which provides braking after a collision to lessen injury, are optional. Ford’s investment into the American production of three new SUVs only adds to their reputation as a top producer of automobiles improving their global presence. 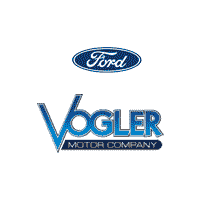 I’ll be sure to stop by Vogler Ford, the premier Ford dealership near me and my own in Carbondale, Illinois, for a test drive of the new 2020 Explorer come summer. The devoted and caring staff offers comprehensive service as they strive to always make you feel at home. If you are looking for a different kind of dealership, a Ford dealership near you with over 90 years of history and values, stop by our Carbondale location today.